Most film franchises lose popularity after the 3rd film or so; not The Fast and The Furious. Nearly 14 years after the original film was released, the franchise is more popular than ever. The 3rd Fast and Furious film is the black sheep of the family, with none of the original cast returning (well, kind of…). Instead, Tokyo Drift follows young hotshot Sean as he enters the world of drift racing and accidently gets himself in trouble with the Yakuza in the process. It’s not a terrible film, but it’s clear how much the likes of Paul Walker and Vin Diesel bring to the table; the new characters just don’t gel as well as the original gang. The racing scenes are reliably awesome, though. Weirdly, this film is the direct prequel to Furious 7 in The Fast and The Furious canon so its probably worth giving it another watch before you skip off to the cinema. 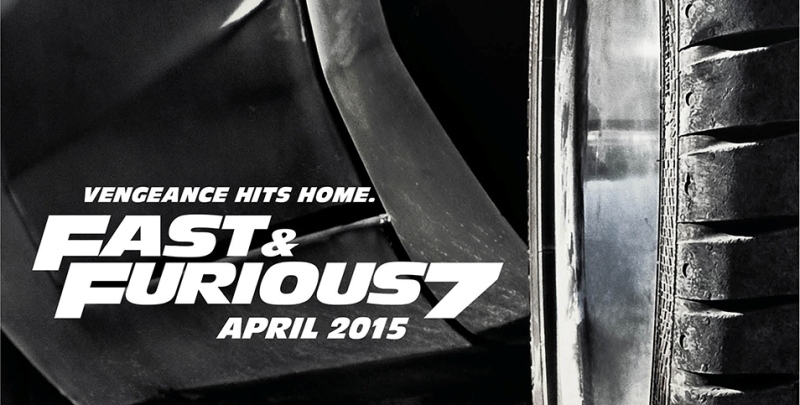 Apart from the clever title, the 2nd Fast and Furious film isn’t that great. With Vin Diesel deciding to sit this one out, the film follows Paul Walker’s Brian O’Conner as he infiltrates another street racing gang. It’s pretty much a retread of the first film but a less charismatic cast, less driving sequences and more talking. It looks good, though. Fast and Furious, the 4th film in the franchise, saw the original cast reunite for the first time since The Fast and the Furious. Like with any big reunion, though, there are a few uncertain moments. Plot-wise, it’s more or less the same as the first film: Vin Diesel and Paul Walker forge an uneasy alliance to take down a even-more-evil baddie who just happens to enjoy street racing. However, the formula isn’t quite there: not enough driving, too much talking and a lack of emotional investment in characters that hadn’t been on screen for nearly 6 years (or, in the case of Vin Diesel, 8). Still, it’s an entertaining film and a step in the right direction. Like the rest of the films in the franchise, it’s a fun film that doesn’t require too much attention to enjoy. However, it wasn’t until a few films later that the franchise would hit on a formula that really worked. And finally, the best Fast and Furious film of all (although it doesn’t actually have the Furious part in the title…). Fast Five shakes up the formula slightly, shifting the focus from street-racing to a full-on heist scenario. There’s still plenty of fast cars and racing, of course, but having Brian O’ Conner and chums carrying out an audacious heist adds an extra layer of tension. It’s also the film that introduced The Rock to the franchise, proving beyond doubt that adding The Rock to anything makes it 100% better. Do you agree with our list? Share your thoughts with us in the comments! If you’re sick of fast cars and criminals, why not sell your DVDs with musicMagpie? You’ll get an instant price and it’s FREE to send your stuff! Click below to get started.